Scott Lowe whose book Mastering VMware vSphere 4 was a massive help for my in my preparation for my VCP4 posted a very thought provoking posting all about blogging for the right reasons. This isn’t virtualisation per se but it does relate well to people blogging just for the sake of possibly becoming a vExpert or for getting a new job/role. Speaking of Scott’s book his book is now available as an Ebook. Maish Saidel-Keesing alerted to the fact that in the latest workstation 7.1 build the icon for the VMware tools has changed. It is now obviously due to the release of vSphere Update 2 and vCentre 4 Update 2 and with this the new version of VMware Tools (Build 261974). Arnim van Lieshout posted all about the latest release of the vEcoShell and the new features it has. The vEcoShell is a brilliant tool and is one I’m trying to strengthen my knowledge on due to the great customisations you can do with it and the power it has for running scripts via PowerCli in your virtual environment. VMware have also released the latest version of the VCP on vSphere 4 Exam Blueprint Guide. 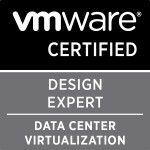 These blueprints are amazing and are the best way I feel in making sure you know and have the required knowledge and skills to pass the VCP4 exam. VMware have also announced that there is now support for VMware SDK’s via the support team tasked with this support. Mike DiPetrillo has written a blog posting all about this release and what it means for people like himself helping people prepare their applications and services for the cloud. Jason Boche has posted up how to win yourself a free pass to this years VMworld.I’m sure a staggering amount of people are going to be entering as most companies are still weary of spending money on these kinds of conventions so this is a great way for someone to make it. I’ve been given the nod to make it to this years one which I’m extremely excited about and hopefully I can generate some really good blog postings while there like the ones I read so much for last years one. While catching up on my VMware Communities Roundtable podcasts I was listening to the podcast from a few weeks back about the VCAP exams and was very pleased to hear that live labs are going to be a large part of the exams to stem the tide of people using “braindump” materials. Colin Steele was the first person I saw to have posted a blog on an error is saw pour in at the VMware communities about a Microsoft patch that was preventing vSphere client logins. VMware have also created an official knowledgebase article on the problem and how to fix it. Lastly a friend of mine who also works in virtualisation Kivian Johnson of First Rand Bank alerted me to a very helpful and possibly integral free tool by Foundstone a division of McAfee’s VIDigger. The tool is “designed to help administrators check the configuration of ESX server and the virtual machines hosted on ESX server against the VMware Infrastructure Hardening guide and other best practices.” I am yet to fully try it out in my lab environment but if it really does do all the things they say it will be a brilliant tool for any virtual infrastructure administrator. Categories: Virtualisation | Tags: SDK, Update 2, VCAP, VCAP-DCA, VCAP-DCD, vCentre update 2, VCP blueprint, vExpert, viclient doesn't log in after microsoft patch, VMware, VMware Communities Roundtable, VMware Update Manager, VMworld, VMworld 2010, VPLEX, vSphere, vsphere 4.0 update 2, vsphere 4.0 update 2 released, vSphere update 2 released | Permalink. The past two weeks have brought some really great news and views in the virtualisation arena. On the 6th of this month i was able to attend the London VMware User Group for the second time. There were some very interesting discussions and presentations. I wrote up a blog posting on the day here if you’re interested. I would firmly recommend anyone interested in this field to find out where and when your local VMUG is happening and get your spot as conversing with fellow virtualisation administrators can increase your knowledge on new things very quickly and easily. Hopefully the content from the user group will be uploaded to the normal location soon. If you somehow haven’t heard about it yet the features due to be in vSphere 4.1 were “leaked” a few weeks back now. There are quite a few new features I’d welcome with open arms like support for up to 4 vMotion concurrent live migrations in 1GbE networks and up to 8 concurrent live migrations in 10GbE networks and Support for 8GB Fibre Channel HBAs. As the article says there is no guarantee that the features will actually be in the public release. I say “leaked” as personally i think if they didn’t want it getting out it wouldn’t have got out, i think it’s just a perfect way of judging people reactions to the features mentioned and see see how they can make some minor changes before making it available. One of the people i got to meet in person at the London VMUG was Ricky El-Qasem of Veeam. As I’ve said numerous times before I’m hoping to better my powershell/PowerCLI skills as at the moment they are terribly basic and therefore are in dire need of bettering to enable me to script portions of my work to save me time and hopefully prepare me for the lack of the COS in possibly vSphere 4.1. Ricky has posted a few blogs all about his journey in learning PowerCLI in PowerCLI lessons and the resources he has used to grow his skills. Embarrassingly i still haven’t forced myself the time to sit down and get through all of the posts but after speed reading most it it looks like it is going to be highly beneficial to me when I stop being lazy and start working at it. Last week the Call for Papers Public Voting opened up for VMworld 2010. Quite a few of the guys I’m friendly with on twitter have made the cut and their sessions have been made available to be voted on. I’m quite amazed by the massive amount of cloud sessions that have been selected. I’m really hoping that VMworld isn’t overshadowed(pun kind of intended) by all the cloud talk. I’ve cast my votes some of which were for fellow UK virtualisation friends and others obviously for ones i really want to be able to see/attend. If you’re like me and gain loads of information and help from Alan Renouf’s PowerCLI scripts then I would recommend a vote for his and Luc Dekens’ “ PowerCLI is for administrators! “ session. There are also sessions by Simon Seagrave of TechHead fame with “Building A Successful vSphere Lab” and “Network Segmentation in a Virtualized Environment ñ Best Practices and Approaches” by Nicholas Weaver of Nickapedia fame to name but a few. So go vote if you’re going to make it to either of the events and hopefully we’ll have loads of really great sessions. If you haven’t registered to attend VMworld then you can still register and get a $250 or €200 early bird discount. Categories: Virtualisation | Tags: 4.1, EMC, PowerCLI, powershell, using powershell for VMware tasks, VMware, VMworld 2010, VPLEX, vSphere | Permalink.